For interior design bang for your buck, nobody beats the world leader in home furniture. That’s why Memphis Furniture carries and can order anything from the vast selection that Ashley furniture literally affords you. With state-of-the-art cushions embracing you in a foam “hug” while you enjoy the plush or smooth texture of easy-care polyester or vinyl, it’s easy to see why Ashley living room furniture is a sure winner, one of our perennial customer favorites. This world-leading brand is kept so eminently affordable that you can even dare to dream of putting an awesome sectional sofa in your home. 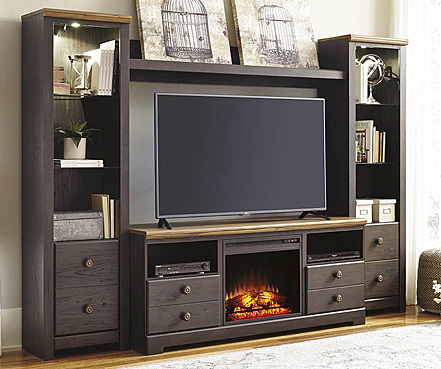 Even if your floor space isn’t as much as you’d like, you NEVER have to forgo living room seating luxury thanks to Ashley. 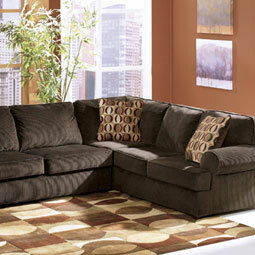 One of our customer favorites is a two-piece sectional boasting a length of over 9 feet. Upholstered in a dignified shade of graphite, its design features massive track arms and, best of all, UltraPlush cushions engineered to last longer. All this is secured on solid corner-blocked frames. Are living room recliners more your thing? 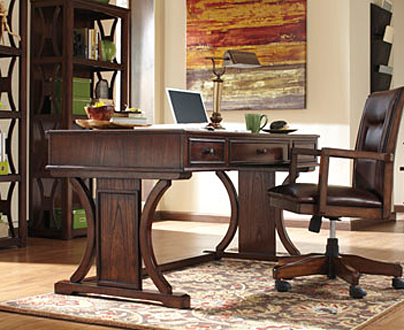 An Ashley Darcy recliner is one of our personal choices as well as a world favorite. 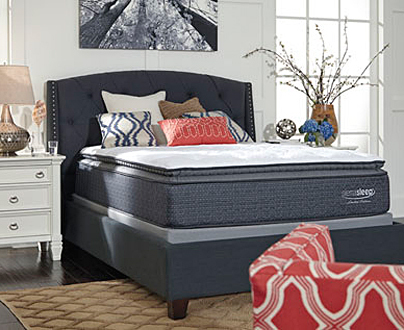 Enjoy gentle rocking motion and easy one-pull operation to get yourself into the relaxation zone. 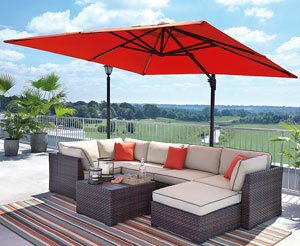 Resilient cushions are clad in easy-care polyester upholstery in your choice of color. Both for daily meals and work/homework sessions and for the big holiday events when you’re hosting and serving dinner, Ashley dining room furniture is built for the task and to last your lifetime. 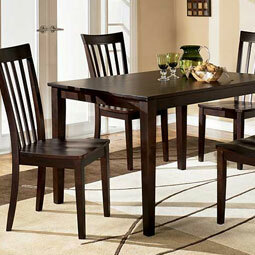 For example, one of our hot-selling small casual dining sets is counter-height, gathered around a round table topped with hand-finished cherry-color wood and a glass inset. This fine table is steady on a powdercoat-finished metal base. This set seats up to four comfortably. The accompanying chairs have a wrought-iron look to the frames and feature a polyester-upholstered seat cushion. 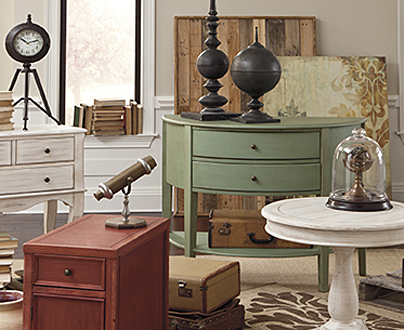 When you buy Ashley furniture from our Memphis, TN store, you CAN have it all! Check out the links on this page, then stop by. We make interior-design dreams come true!